We’ve just published six new articles and have a new contributor in our team. Also, the last four articles on archangels, more precisely articles on Yechudiel, Raguel, Chasdiel and Orifiel are in the process of translation from Romanian to English with the help of our good friend and translator Gabriel A. so stay tuned for more. Some other exclusive articles have been promised by some very interesting authors, but we might have to wait a while until we have them. Meanwhile, this is what we bring for you today. Our new team member is Magister Omega from France. His main interests are Solomonic & Faustian magic, Runelore, Cryptography, Witchcraft. 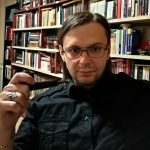 You can find more articles by him on his blog http://www.omega-magick.com/ and for the French speaking audience, he’s got an awesome publishing house at http://www.editionsdumonolithe.com/. That’s all for now, we’re working on bringing new material asap. Also, whatever ideas, requests, questions, complaints, suggestions or anything else, you can contact us at admin @ occult-study.org (without the spaces). Last but not least, if you enjoy our work and want to support us, go to https://igg.me/at/occult-study/x/20369872 , our crowdfunding campaign and help us with a donation or share this link to social media! Any help is highly appreciated!